The date has been set for Wednesday 21st February from 5:30pm to 8pm. It would be for KCL and a few other universities. 1. The event will include an introduction to Dentons, a talk on training contract applications from their recruitment team and networking as well as a Q&A session with BPN members. 2. It will be held at Dentons offices in Fleet Place. TeachFirst is going to be on Strand campus on Thursday 8/2! Come see them to find out more about the great opportunities they have to offer for graduates and undergraduates at our interactive roadshow! King’s Internships: Springboard is an exciting new internship scheme offering 8 students of Black ethnicities the opportunity to undertake an exclusive, paid 4 week internship over summer 2018. Teach First have identified a link between low income and low academic attainment in the UK. They are working on tackling inequality in education by recruiting exceptional graduates who can bring about change and create a positive learning environment in challenging schools. The LDP is a paid, intensive two-year graduate programme which combines training and qualifying as a teacher with a Postgraduate Diploma in Education (PGDE). Your journey on the programme will begin with a 5-week summer institute, where you will build curriculum knowledge, gain an understanding of education theory and practice, and enhance your classroom management. Development continues throughout the programme through coaching, mentoring, business training and a range of networking and skills workshops. Candidates will get to spend time in schools working with pupils, teachers and members of the local community. In year one you will receive the basic salary for an unqualified teacher, followed by the basic salary for a newly qualified teacher which ranges from £22-£27,500, dependent on the location, and there is opportunity to earn more if you take on management responsibilities. Teach First are also partnered with a number of graduate recruiters (listed below). Teach First participants are able to intern with the partner organisations who recognise and acknowledge the valuable transferable skills gained by the LDP participants. Teach First participants can also defer entry for a permanent position with one of these partner organisations, whilst they complete the Teach First LDP. There is also the option for Teach First participants to be fast-tracked in these application processes. Teach First participants will also benefit from coaching from senior professionals and have access to leadership seminars. If you are interested in applying to Teach First, Rare is able to provide support at every stage of the application process for Rare candidates – from reading draft application answers to offering mock assessment centres. Applications are currently open and Teach First are recruiting on a rolling basis, so early applications are advised. If this sounds like something you would like to apply for, then we would really recommend you join Rare for expert advice and support with your Teach First application. If you wish to apply to Rare, and in turn, Teach First then please email Gianina.graham@rarerecuritment.co.uk before submitting an application. The Bank of England in partnership with Windsor Fellowship is recruiting for the African/African-Caribbean Scholarship Programme. The Programme is for students from a Black or Mixed African/ Caribbean background who are currently living or studying in Greater London, Manchester, Birmingham and surrounding areas and planning to start a full-time undergraduate degree in autumn 2018. · Mentoring, Coaching and Support from a member of the Bank of England team. Further information about the Programme is available on the Windsor Fellowship website www.windsor-fellowship.org together with the link to the on-line application form. The deadline for receipt of applications is midday GMT on the 22nd January 2018. 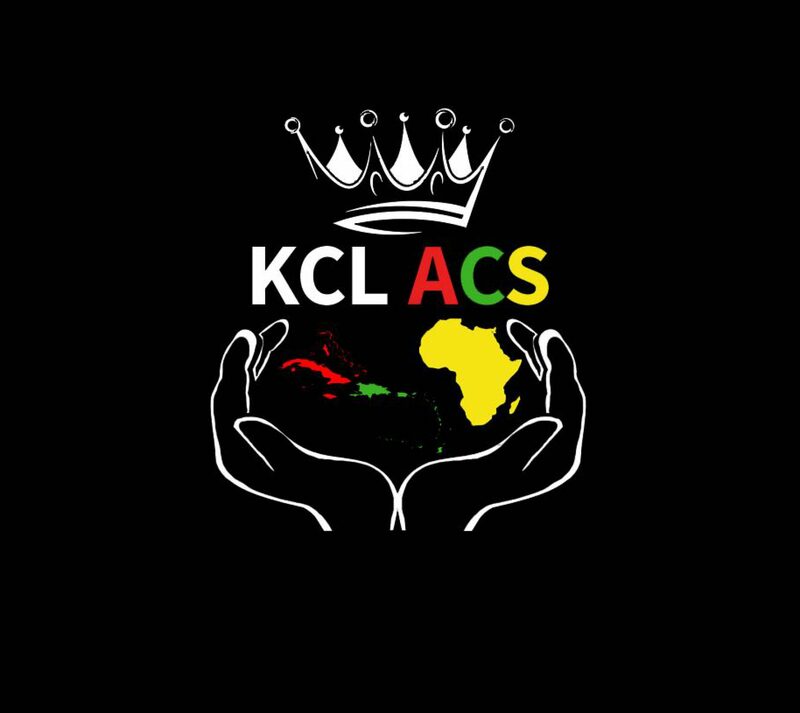 A conference targeted at Caribbean students. This is based on lots of factors like Cambridge’s poor engagement with Caribbean students (stats from last year were shocking) + other countless stats showing that they’re disproportionately affected by the British education system (have been for years and continue to be). The event will run on Feb 24th, is free and supported by students of Caribbean descent across the country as well as a few people from the 2018 Powerlist top 10. The recruitment round for the next set of scholars will be opening soon. As an undergraduate, whether you’re looking for a 2018 internship, or a one year placement, our programmes will give you practical work experience, the opportunity to work across different business areas – and the possibility of being fast-tracked into a graduate job, once you’ve completed your degree. At KPMG, trainees are empowered to be extraordinary and rewarded for their contributions – joining us as a trainee after graduating means you’ll experience development opportunities and a host of great benefits, including access to preferential banking and cash towards student loan payments. Apply now, and you could experience Launch Pad, the innovative final stage of our application process. Candidates get the chance to gain new skills, network with existing KPMG staff and senior partners, as well as peers. It represents the final stage of your recruitment process and if you are successful, you’ll receive a job offer faster than ever before, within two working days! We will talk about the numerous programmes (including our workshops and summer vacation schemes) for which students will be eligible at different stages. We will also cover the application process for training contracts and other programmes. There will be time to ask questions and the presentation will be followed by drinks with our representatives- Freshfields’ partners, associates and trainees, as well as graduate recruitment. Time: Drinks from 6pm for 6.30pm start. Location: Freshfields Bruckhaus Derringer, Northcliffe House Entrance, 26-28 Tudor Street, London EC4Y 0BQ. Our friends at Unlocked Graduates are hosting an interactive discussion focusing on race and the criminal justice system In partnership with EY. They’ll be asking David Lammy MP and other high profile government officials how the criminal justice sector be improved to build trust from BME communities? You’ll also get a chance to think of your own improvements, have your say on one of today’s most pertinent issues and network with staff from Unlocked Graduates, senior level staff from EY, high profile civil servants and leaders from the not for profit sector. The event is open for all students and graduates so feel free to inform your friends you might be interested. RSVP: at trustincjs.eventbrite.co.uk to attend and receive further details on the event venue. Google’s University Programs team, in partnership with the Black Googler Network, are excited to announce that applications for our Top Black Talent program are now open. Join us in the Google London office on Thursday 16th & Friday 17th November 2017 where we’ll discuss how we’re cultivating black leaders at Google and beyond. We’ll also talk about our efforts to transform the tech industry and discuss some of the challenges our users and communities are facing. The following day you’ll also have the opportunity to participate in recruiting presentations and workshops to learn more about opportunities at Google. If you’d like to attend, please fill in this form by Wednesday October 25th 2017. Unfortunately spaces are limited; we’ll let you know by early November if you’ve successfully secured a spot. Please note, you’ll be reimbursed for any travel and accommodation costs incurred as part of the program. We are excited to invite you to out International Afternoon Tea event on 26 October 2017 in London. This is an excellent opportunity to meet our consultants from a wide range of geographies and learn more about our work, our people and global career opportunities. The event is designed for students interested in working in our global McKinsey offices outside of the UK and we welcome applications from penultimate and final year students from bachelor’s and master’s degrees from any background. Attending the event is an excellent opportunity to learn more about the international opportunities that we offer and to network with our consultants from a wide range of regions. Please note that you will need to have the language fluency of the office(s) in which you express an interest. Please submit your application online via www.mckinsey.com/internationaltea2017 or our UK Careers website. The deadline to register your interest is 15 October 2017. Space at this event is limited and we plan to get back to you at least 4 days prior to the event to let you know if you have been successful in securing a spot. As the world’s leading advisor on business strategy, The Boston Consulting Group (BCG) pioneers ideas that drive sustained advantage and change for clients, industries and society. Curious to learn more about our offices in Africa? Join our cocktail event for the opportunity to interact with our BCG consultants and find out more. Join us for an honest and open discussion on how multiculturalism and diversity affects the graduate population. Our experienced panel of speakers will discuss the implications of these topics on their careers thus far, and guests will be provided with an opportunity to network with the panel and Herbert Smith Freehills staff. Nish Dissanayake, Chair- Partner, Herbert Smith Freehill’s asset management and investment funds group. Nish has particular expertise in regulation of asset managers and in capital raisings, restructuring and other corporation actions in the investment funds sector and take a keen interest in promoting diversity and multiculturalism in the firm. Mukul Chawla QC – A renowned criminal barrister at 9-12 Bell Yard. He was the lead prosecutor on the UK’s first LIBOR case and has been prosecuting a similar case for the SFO. Rimla Akhtar MBE – The first Muslim woman to sit on the Football Association Council and Chair of the Muslim Women’s Sport Foundation. Rimla, a qualified chartered accountant, previously worked with Pricewaterhouse Coopers before moving on to found her own inclusion and diversity consultancy, RimJhim Consulting. HHJ Georgina Kent – A circuit judge who began her career as a barrister at 5 Essex Court Temple. Currently on secondment to the Central Criminal Court (The Old Bailey), she specialises in criminal law and often tries long and complex fraud cases. Sundeep Bhatia – Head of Beaumonde Law Practice and member of the Law Society’s Equality and Diversity Committee. Having held various other positions within the Law Society and Society of Asian Lawyers, Sundeep has worked extensively to cover diversity issues in the profession. For more information or to RSVP, please contact Graduates UK. At Accenture, we’ve always felt very strongly about the importance of diversity. That’s why we’re holding two BAME focused events for students and graduates this November. These events are a fantastic opportunity to explore options as you plan your future. There will be panel discussions where you can ask questions about everything from employability to work culture. You will have a tour of our innovation centre, get involved in employability and recruitment sessions, as well as network with experts in various business areas over drinks and nibbles. There are limited spaces available. So, apply today by sending your CV and a covering letter stating why you wish to attend to events@staffordlong.co.uk. We are a leading global professional services company. We provide solutions in strategy, consulting, digital, technology and operations. Now, we’re looking for fresh talent to join our team of 411,000 people across 120 countries. KPMG would like to invite you to our “Application Bootcamp” on the 5th October at our Canary Wharf office. This is a fantastic opportunity to receive exclusive advice on our application process and meet with our recruitment team to understand how to make the best impact in your KPMG application. You will also gain insight into what KPMG does, and how you can use your strengths and skills to succeed in a career at KPMG. Joining KPMG means joining a talented team of exceptional colleagues who bring innovative thoughts and a natural curiosity to the work they do each day. KPMG is a diverse business that requires diverse personalities, characters and perspectives. We welcome a range of backgrounds, and degree disciplines, so wherever your journey of discovery leads you, KPMG is a place where you can learn, grow and thrive. Rare is excited to partner with top financial services firms to offer exclusive opportunities and access targeted at first year black students interested in the industry (and second year students on a four year course). Rare Foundations: Banking is a development programme focused on improving participants’ knowledge, understanding and exposure to the banking and finance industry. If you are a Rare candidate of black African and Caribbean heritage, graduating in 2020 and have AAB or 36 IB points then you can apply for this opportunity. The main aims of Rare Foundations: Banking are to demystify the industry, help students take their first step towards a career in financial services and secure a Spring Programme placement. If you would like to find out more and to apply please click here or contact adam.owadally@rarerecruitment.co.uk. Rare Foundations: Banking is a free service for Rare candidates. Limited places are available. Click here to find out more about becoming a Rare candidate. Dentons, the world’s largest Law firm, will be holding an Insight Lunch on Thursday the 28th of September from 11am to 2pm. The lunch includes an introduction to Dentons, a talk on training contract applications from their recruitment team, lunch and networking as well as a Q&A session with BPN members. They are offering this opportunity to 5-10 BAME KCL students in second year and onwards pursuing a career in Law, who have achieved or are predicted to achieve a 2:1 at degree level and have ABB at A-levels. The Lunch will be held at Dentons Office in Fleet Place. KCL It Stops Here is a collaborative campaign by King’s and KCLSU to build a safe and inclusive environment where sexual harassment is never acceptable and they need you! They are recruiting 8 Student Ambassadors for the new academic year, to promote the campaign and engage students through events and workshops.